Creating case studies should be at the top of your “to-do” list if you need content that turns B2B leads into customers. According to a Content Marketing Institute study, B2B marketers called customer testimonials and case studies the most effective type of content. Meanwhile, nine out of ten B2B buyers said that online customer success content has a major impact on their purchasing decisions. Although case studies are effective, you may struggle to get them produced. Many B2B marketers have a hard time finding customers who are willing to share their stories. You’ve probably heard many reasons why customers won’t participate in a case study. One of the most common reasons is that it’s against their company policies. They may need to adhere to regulations that make it impossible for them to discuss their challenges and successes publicly. Or their legal teams might say veto all case study requests, as they don’t like to disclose their third-party vendors. Some companies say “no” to success stories because they want to keep their internal processes, technologies, and best practices private. They fear that their competitors will read about what they are doing and then steal their ideas. Other customers may believe that they are too busy to take part in a case study. They often think that the process is long, complicated, and too much work. In some of these instances, your customers might agree to a case study if you don’t name their company. But a case study without names and direct quotes can appear phony. It’s better to put your “nameless” customers on hold and find others who are happy to share their experiences. Ask your sales and customer service reps for the names of the people who are the most excited to work with you. Find out who is raving about you on social media. Search your email for messages from customers who love your software. Check third-party review sites to see who gives you the highest ratings. Make a list of customers who give you referrals and references. The ideal time to ask a customer for a success story, case study, or testimonial is right after they recommend you. If they are sharing the love in public forums, such as on social media or third-party review sites, they will be more likely to say, “yes” to a feature story. Many B2B marketers approach case studies from a “what’s in it for me” perspective. They want great content that will fill their editorial calendars and drive sales. But you also must consider what’s in it for your customers. 1. Show them the benefits of helping you. Display their thought leadership. A case study can highlight a customer’s expertise. They can share it on their blog and on social media to show how they have successfully overcome common challenges in their industry. Gain recognition within their companies. They can show their boss the case study as proof of the great things they are doing for the business. Build their personal brands. They can post the case study to their LinkedIn profile and receive recognition from their peers and future employers. Your customers will want to know how you will use their success stories. Be sure to send them a release form that describes all of the details. Also, send them samples of your other case studies so that they can visualize their final story. 3. Make it easy for customers to take part. Let your customers know that they won’t need to devote tons of time to your case study. Aim to keep their interview around 45 minutes. Also let them know that your copywriter will create a draft, so they won’t need to do any time-consuming writing. After the interview, the only thing your customer will need to do is review the story and get final approval. Be sure to send them their interview questions in advance. Some customers are comfortable speaking off-the-cuff but others will want to prepare answers. Also, let your customers know that you will ask for numbers related to their return on investment during the interview. That way, they can look up the data in advance and won’t need to dig around for additional information after the interview. This will also help you complete your case studies faster, as you won’t need to wait for vital ROI statistics. Finding customers for your case studies doesn’t have to be a headache. 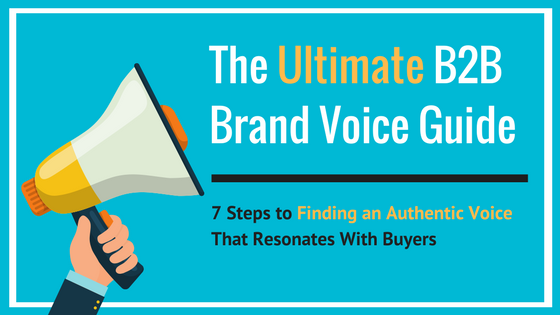 Start with your most vocal advocates and make it easy for them to take part. It won’t be long before you have a catalogue of case studies that helps you turn leads into customers. Turbocharge your ROI from your customer success content by sharing it on FeaturedCustomers.com, the largest directory of software testimonials, case studies, and customer videos. Sign up today and gain access to qualified software leads who are ready to buy! *This post was originally published on FeaturedCustomers.com.